Newcycling.org, Newcastle’s cycling campaign, fed up with patchy and counterproductive actions by the local transport authority, invite the Chief Executive to judge for herself. After three letters of bringing Pat Ritchie, chief executive of Newcastle council, up to speed on transport matters (see below), the group now invites her to cycle around the city to experience the dire realities for herself. Currently, cycling in Newcastle is not for the faint-hearted. The group had carried out research into Newcastle’s past politics and administration. They found that not much has moved on, despite the council’s consistent transport-transition policies dating back to the 1990s, or the positive public rhetoric from politicians (see below also). Katja Leyendecker, chair newcycling.org, says “We have had enough of the council saying one thing and then doing something else completely. It seems that if the council want people to cycle, the chiefs must gather some experience of the current situation for herself. We therefore ask Pat Ritchie to get on a bike and feel the true brunt of current conditions of city cycling. Maybe she needs some cycle training? We can advise her, that her own council provides that for free to adults. She needs some encouragement? She can sign up to the tremendously pointless cycling in the city initiative on facebook. Newcastle’s promotion initiatives are shamefully inadequate, counterproductive and a waste of public money if they are not coupled with a clear plan to build a good-quality cycle network consisting of protected cycleways on main roads and neighbourhood zoning ie closing of aggressive through roads in residential areas. 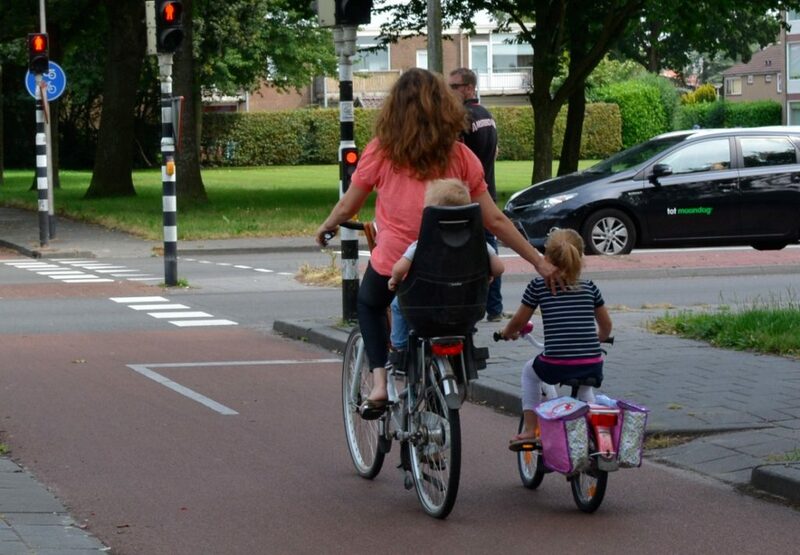 How else would parents let their kids cycle with peace of mind about their safety and the comfort to know everyone is adequately provided for by benign human-sized urban design? Cycling kids are the yardstick for a good and fair urban transport system and an indicator for a healthy and sane design approach by the city’s transport authority. 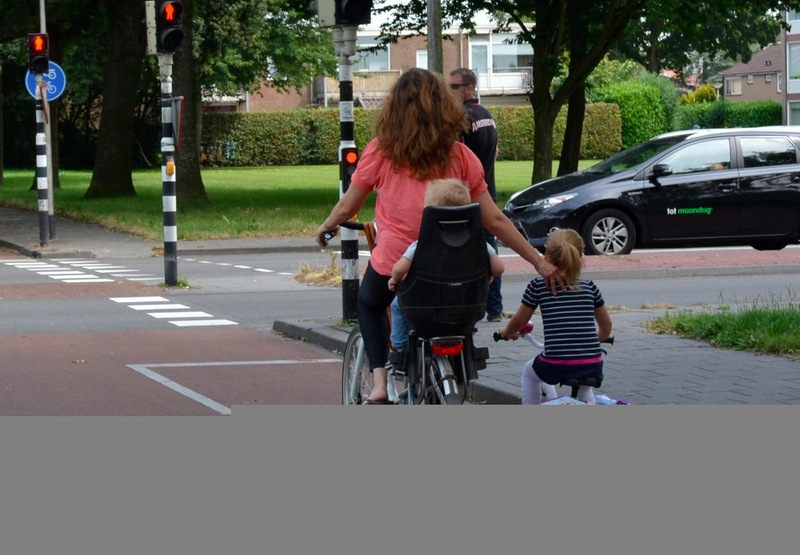 Infrastructure enabling cycling safely with kids. Source CEoGB.